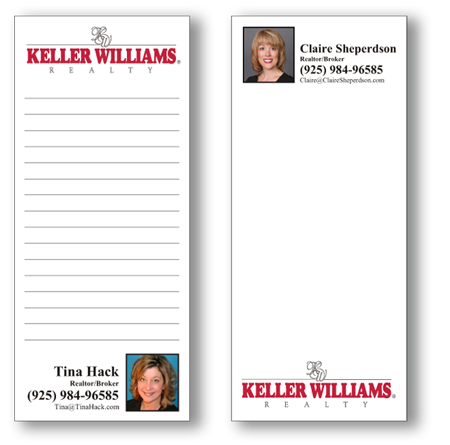 Notepads are a great way to get the most from your marketing Dollar. Just leave a note pad with your prospective client, and they will think of you every time they make up that grocery list. Or better yet, order the notepads with a magnetic backing, and it will find it’s way on their fridge. Now they’ll think of you every time they get hungry! We can also stuff them in envelopes for mailing. Jumbo sized postcards - 3.66" x 8.5", 25 sheets per pad.